How many times have you heard the assertion that the wife always knows when her husband is hiding something? Be it a secret liaison or a vice he developed lately, it seems the female intuition prevails. What about you? Are you familiar with that nagging feeling inside of you that tells you something is wrong? Do you listen to it? Do you talk yourself out of it? Are you aware you are doing it? Or are the signals from your intuition too scary for you to even acknowledge them? The following real life story will, I am sure, resonate with many of you – if not in content, then in feeling. 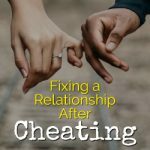 A husband comes back from an addiction treatment facility. For several months things seem to be going well. After awhile, the wife gets a sense he is quietly relapsing. 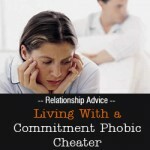 You can probably guess that the wife’s suspicions were correct – the husband relapsed. What gave it away? How is it that without hard evidence she knew? To answer this question, we need to understand what intuition is. Luckily for us, recent research in neuroscience can now explain the phenomenon of intuition. Turns out our brain has an amazing ability to register an incredible amount of information, all without our awareness. When we are repeatedly exposed to a variety of similar scenarios like the behavior of those close to us, unconsciously we accumulate a wealth of information about their ways. That information forms into a pattern, monitored by the brain. When that pattern is broken, the brain signals to us that something in our environment that used to be okay no longer is. The brain’s signalling happens through activation of our internal warning system. We start displaying physiological signs of stress: increased heart rate, labored breathing, tighten muscles and sweaty palms. Rationally, we might not have a clear explanation for these signs of stress, and that is why we might feel anxious. This is also why we can talk ourselves out of the sense that something doesn’t add up. So, you see, the wife’s brain from the story above registered some near-imperceptible changes in the husband’s behavior, all the while the rational mind struggled to explain the alarm response. Bottom line, the wife did know. Now that you know intuition has a neurobiological basis, I hope you will trust your intuition more and make it work to your advantage. Here are a few tips on how to improve your relationship to your intuition. Know that it is a normal function of your brain. Know that you will receive warning communication from your brain as an alarm feeling. The better you are able to notice bodily signs of stress, the more in-tune with your intuition you will be. The signs of stress are: increased heart and breath rate, tighten muscles (e.g., a knot in your stomach) and sweaty palms. If you are unable to discern between a worry and an intuitive warning, perhaps seek help of a counselor or psychotherapist, who will help you sort out your own fears from intuitive warnings. Trust yourself. You know more than you think. 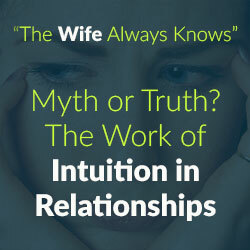 Let’s say you have established that you have a strong intuitive warning about your partner’s behavior. What can you do about it? The answer to this question is in my next blog. P.S. My book Simply Spirit: A Personal Guide to Spiritual Clarity, One Insight at a Time has a whole chapter devoted to intuition. Check it out! 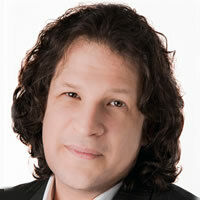 Joseph Eliezer (www.josepheliezer.com) is a Vancouver-based psychotherapist, author and speaker with a special interest in intuition. Joseph credits his intuition for helping him pen his writings, including his first book Simply Spirit: A Personal Guide to Spiritual Clarity, One Insight at a Time, which has reached the #1 position at Amazon.ca. Joseph has been interviewed by BBC Persia on Intuition-Enhanced Psychotherapy and has been speaking to various groups on mental health, well-being and intuition. Check out Joseph’s YouTube channel or connect with him on Facebook, Twitter or Google+ . Thanks for sharing this. It is very insightful and helpful for many. Women are more prone to second guessing themselves than men. If this helps even one woman to stop “rationalizing” someone else’s behaviour then this has been valuable. Useful info. The topic of intuition tends to be exploited by those who know very little about it as they promise to reveal some divinely-inspired “secrets”. It’s high time for a no-nonsense discussion of intuition. Thank you for writing and publishing it.